Korfel A, Schlegel U. Diagnosis and treatment of primary CNS lymphoma. Nat Rev Neurol 2013;9:317-27. Buggage RR, Chan CC, Nussenblatt RB. Ocular manifestations of central nervous system lymphoma. Curr Opin Oncol 2001;13:137-42. Qualman SJ, Mendelsohn G, Mann RB, Green WR. Intraocular lymphomas: natural history based on clinicopathologic study of eight cases and reviews of the literature. Cancer 1983;52:878-86. Akpek EK, Ahmed I, Hochberg FH, Soheilian M, Dryja TP, Jakobiec FA, et al. 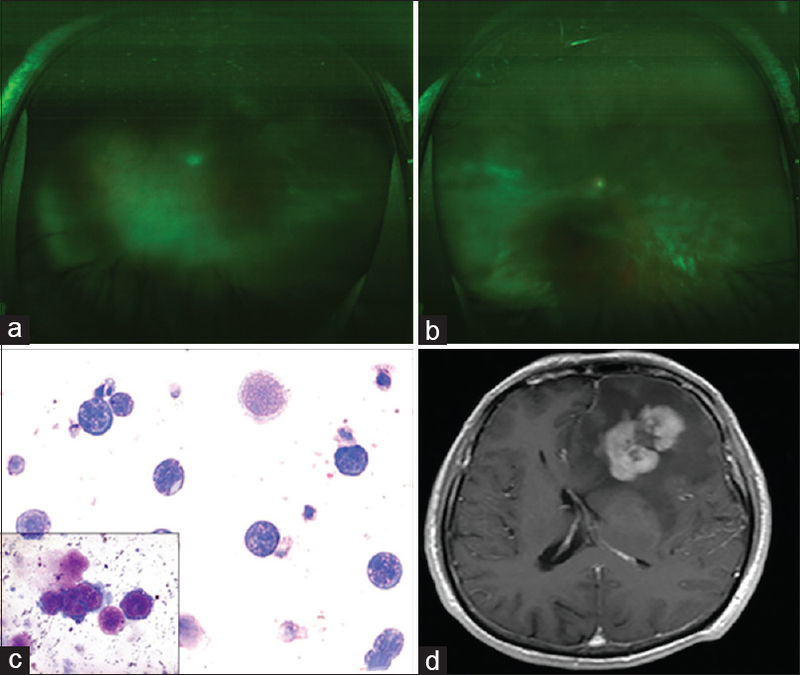 Intraocular-central nervous system lymphoma: Clinical features, diagnosis and outcome. Ophthalmology 1999;106:1805-10. Katoch D, Bansal R, Nijhawan R, Gupta A. Primary intraocular central nervous system lymphoma masquerading as diffuse retinal vasculitis. BMJ Case Rep 2013;2013. doi: 10.1136/bcr-2013-009354.